Good standard accommodation in the pretty old part of the town centre benefiting from a quiet street and yet 2 mins walk to the beach front. In the sought after st of Calle Nueva. The apartment contains a washing machine, automatic hot water shower, modern kitchen with a grill and microwave, full SKY TV package with English and European channels, movies, sports, etc. Dvd player, a telephone with unlimited free local calls to landlines and mobile numbers, free unlimited internet connection, wire or wireless, bright good size lounge and 2 bedrooms. There are winter heaters for every room at the apartment. The beach is 3 minutes walk away with its promenade for a nice stroll or for the bars and popular restaurants. The apartment is situated away from the noise still. 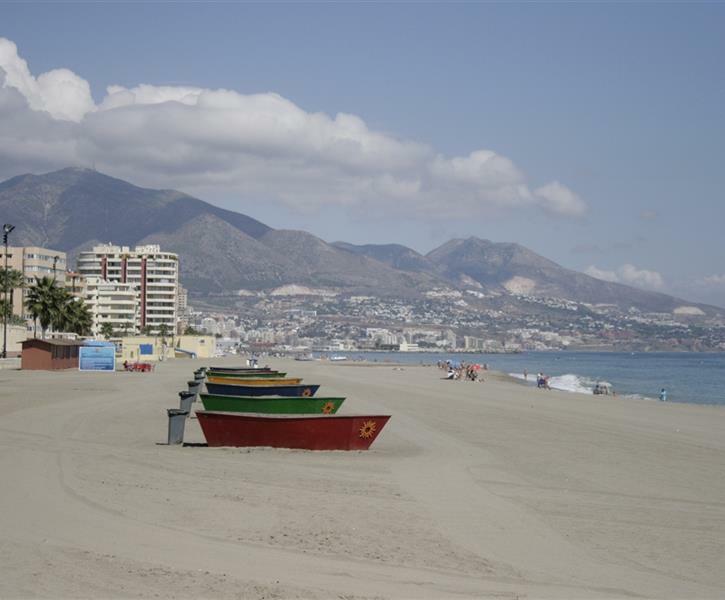 We have stayed in many apartments in Fuengirola and this is certainly the best. Will definitely rent next time we visit. Bars, restaurants, supermarket and beach all within five minute walk. Furniture of a high standard and very comfortable bed. As a sun lover the only thing I could fault was the balcony only had the sun for an hour in the afternoon. I would not hesitate to recommend this apartment. We have just returned home. Apartment overlooks a beautiful tree lined street. The location is perfect. It’s near the shops and a lovely square perfect to people watch. The apartment is well equipment with everything you need for your stay. Olga is at hand is you have any problems. She took us to the airport and was very warm & friendly. Don’t hesitate to book this as it’s a charmer!!! !